The King of Monsters returns to the video game scene in a massive compendium of destruction and chaos with all of his allies and enemies. Godzilla is a tome of information and facts about the film franchise's history, loaded with images, stats, and character models of just about every other monster he has ever gotten into fisticuffs with. Oh yeah, it's also a dreadfully awful video game. 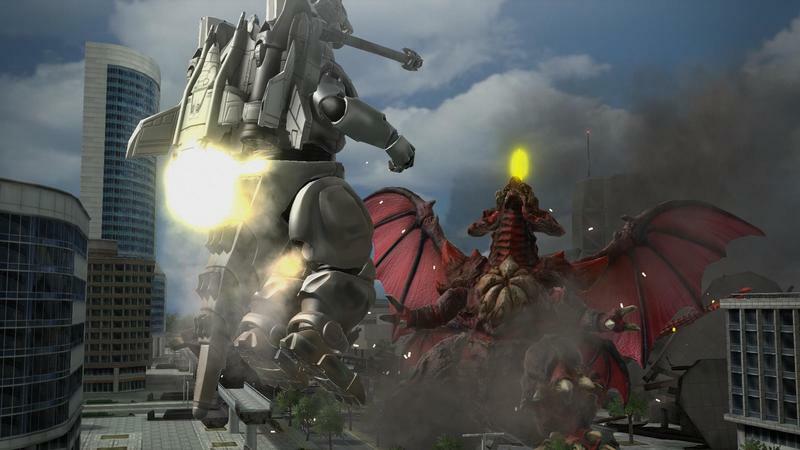 If you haven't come to expect that from Godzilla games as of late, then I'm not sure what to tell you. They're just all awful, and if you disagree, I can only ask where you got your tickets to Fantasy Island. This Godzilla does a fantastic job of living up to its franchise's lowly standards, but if you approach it with the proper expectations, you might just have a little fun. No lie! It's in there somewhere! You just gotta dig through the rubble. I don't think it will come as a shock to those who were following it. 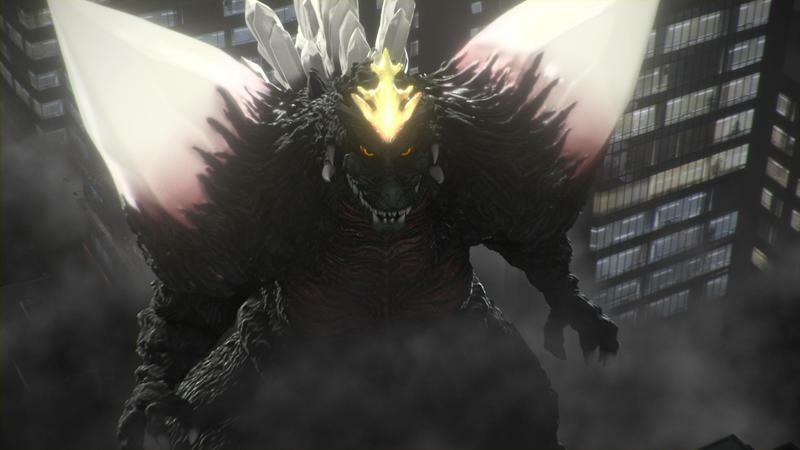 Godzilla's trailers were not a sight to behold, and the underwhelming technicalities carry over into the game. 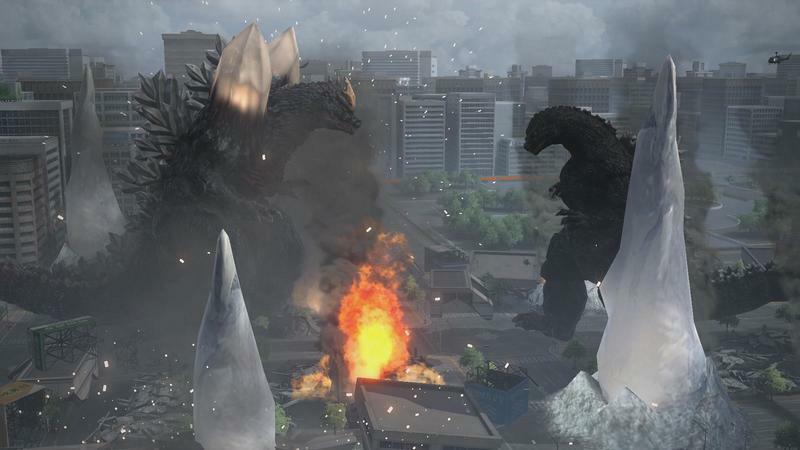 Godzilla barely looks like it could pass for an HD PlayStation 2 game let alone run on the PlayStation 3 or even the PlayStation 4. Character models are cheap and look like toys themselves, hardly the richly detailed beings we've come to see in video games as of late. 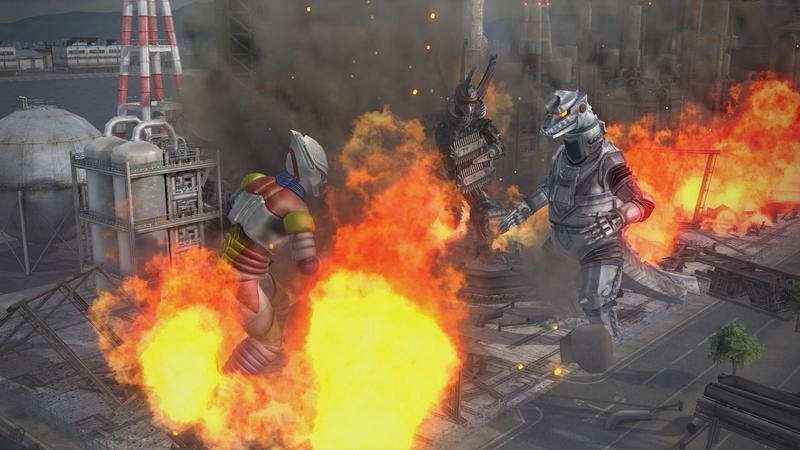 With these plastic models, Godzilla takes on his rival monsters for supremacy of the toy box, and they duke it out in cramped Japanese cities that come off as less convincing than even Earth Defense Force 2017. That was released in 2006 on the Xbox 360. 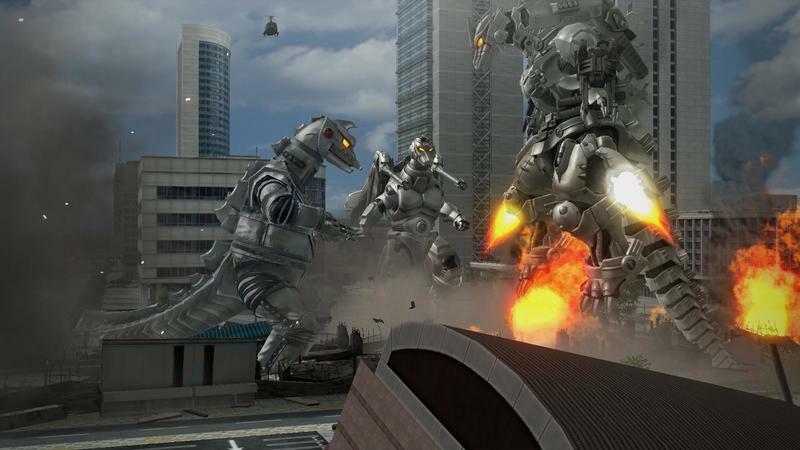 Yes, Earth Defense Force 2017 is an almost ten year old budget game on a previous generation console, people, and it's still a prettier game than Godzilla. Luckily, the demand to power these graphics doesn't seem to be that much. 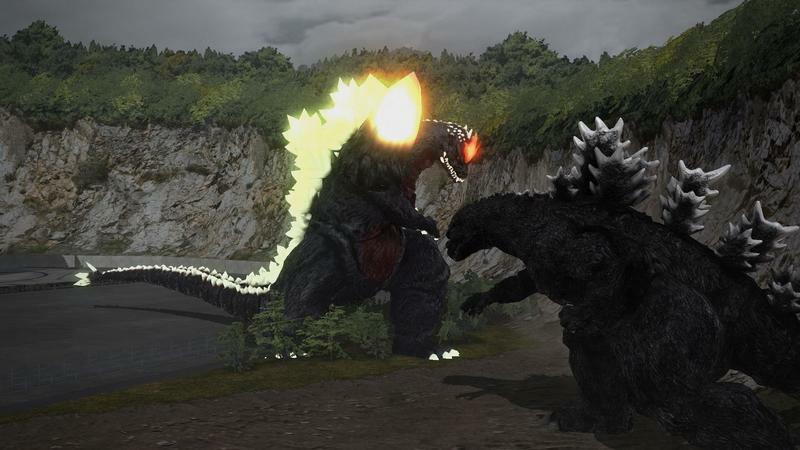 Godzilla's framerate rarely dips to noticeable levels, and frankly, I would be outright calling for Bandai Namco to revoke their programmers' licenses if they couldn't get these graphics running on the PlayStation 4. You do need a license to develop games, right? There are a few saving graces here, mostly in the destruction effects. 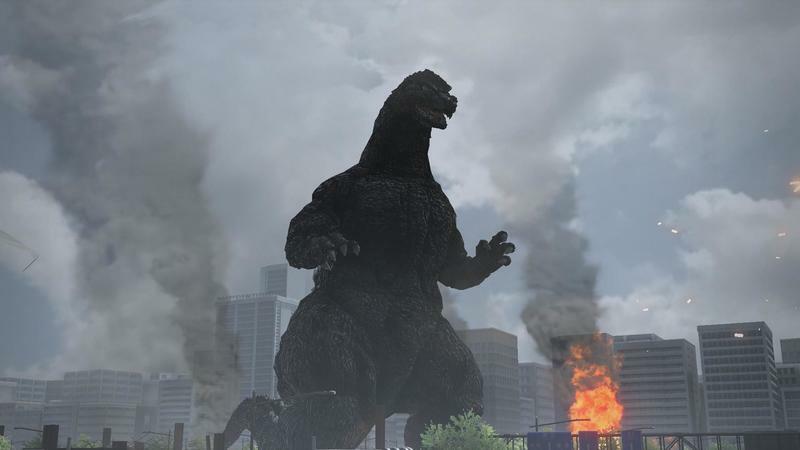 Even if our friend Godzilla isn't exactly that detailed, smashing into a building with him feels great, mostly do in part to the smoke, chaos, and the iconic sparks designed to resemble those used in the classic Toho films. Yes, in spite of the cardboard buildings, destruction in this game still looks and sounds like the real deal. And yeah, despite it being horribly outdated, incompetent, and just bad, I can't say that I hated the graphics. They aren't pretty nor up to the standards set by the PlayStation 4, but they are inoffensive at best. Godzilla looks like Godzilla, and that's the best we can ask for, yeah? 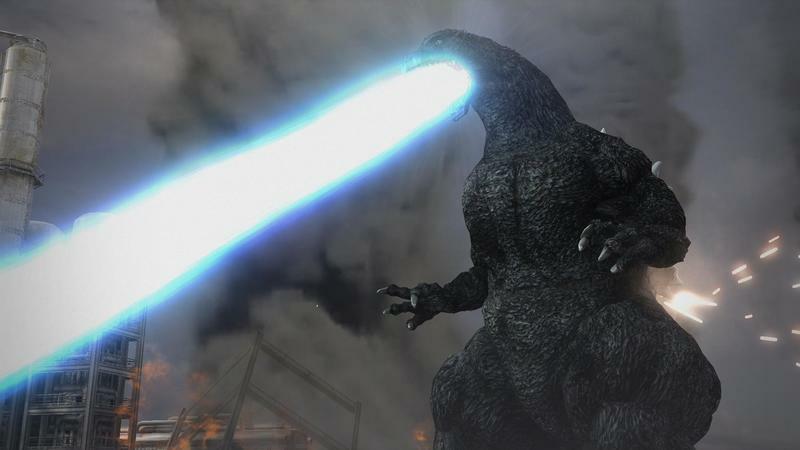 Heading into Godzilla expecting the latest Unreal Engine 4 brilliance bursting from its stages will only get you burned. Go in with the mindset that you're playing a Japanese budget game, and you'll be getting just that. A $60 budget game mind you. 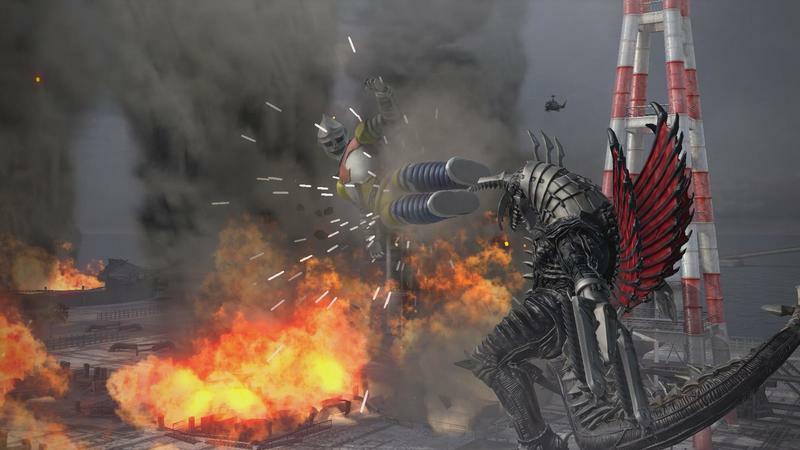 You're not paying a budget price for those ugly graphics like Earth Defense Force 2017's $40 price tag. Full price for this leaves whole lot of expectations that need mending. And we have the gameplay. 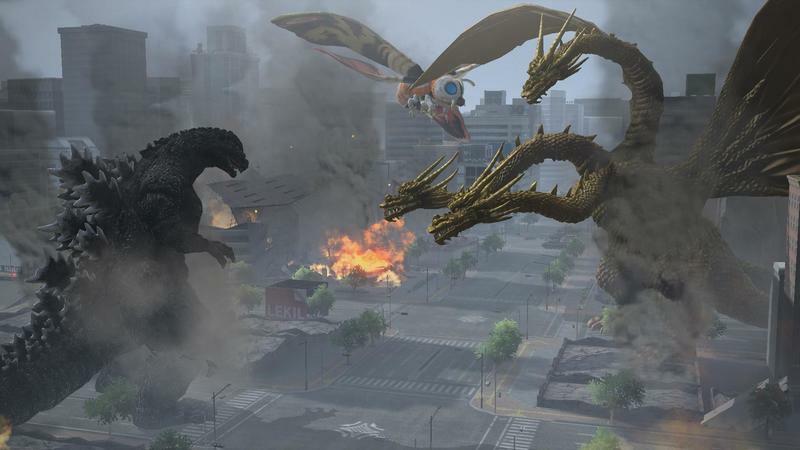 Godzilla has been forced to battle godlike monsters from the edges of the universe, and yet, he's never had to handle a more rough customer than the controls in this game. Bandai Namco's control scheme refuses to adhere to modern standards, resorting to the R1 and L1 buttons to steer the character, not doing the whole tried and true "dual-analog" thing that the first Halo established. The only way to described Gozilla's setup is like a PlayStation 1 shooter, meaning you'll have to dig into your memory to fall in line. However, you'll have to have a memory of such times in order to do that. Otherwise, it's like learning to ride a bike all over again. In a way, it makes sense. 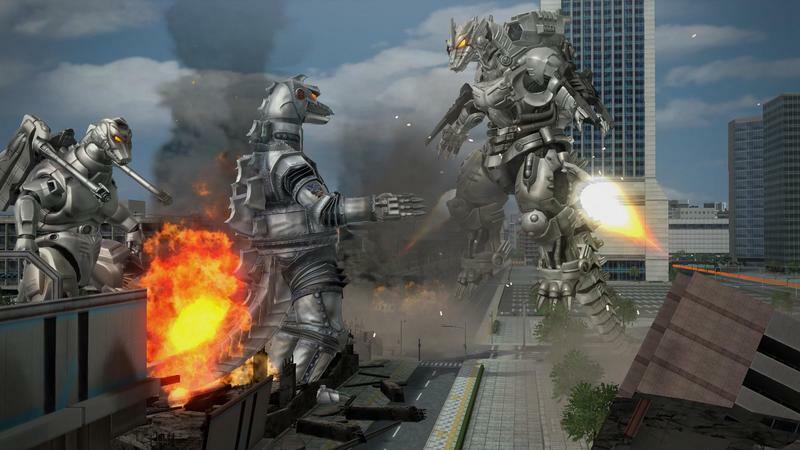 Godzilla is not a super soldier. He's a lumbering beast who can't exactly move with speed and grace of Kratos or Master Chief. 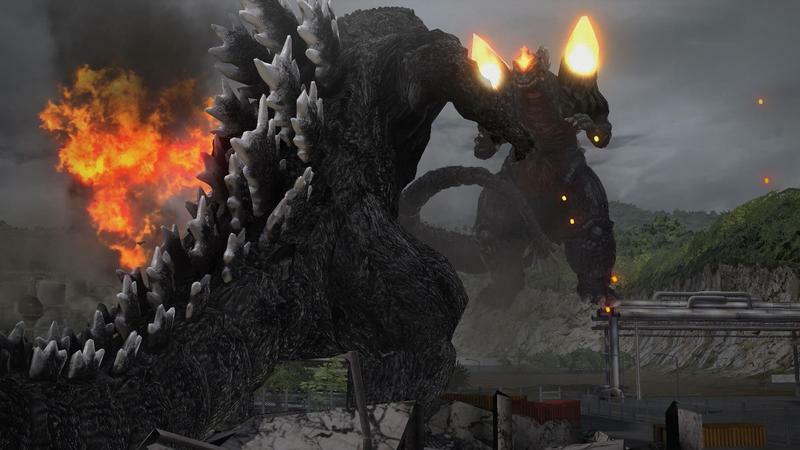 Merely turning to face an enemy is a chore in and of itself, a Godzilla has no problems taking it slow so seeing how much punishment he can take. Missiles have very little effect on him, much like a the canon I guess. Then we come to pummeling the opposing beast. 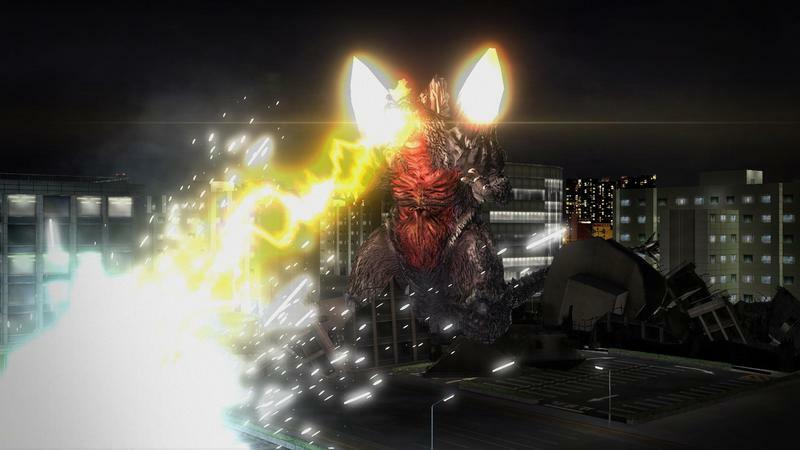 Godzilla has five moves: a triple weak attack combo, a strong whip of the tail, an AoE attack blasting the area around him, a charge, and a rushing charge attack. Seems like a lot of variety, but it's really not. With this arsenal, he'll be able to take out even King Ghidorah himself. Bam bam bam… bam bam bam… bam bam bam… oops, I knocked him out of range. Rush attack! 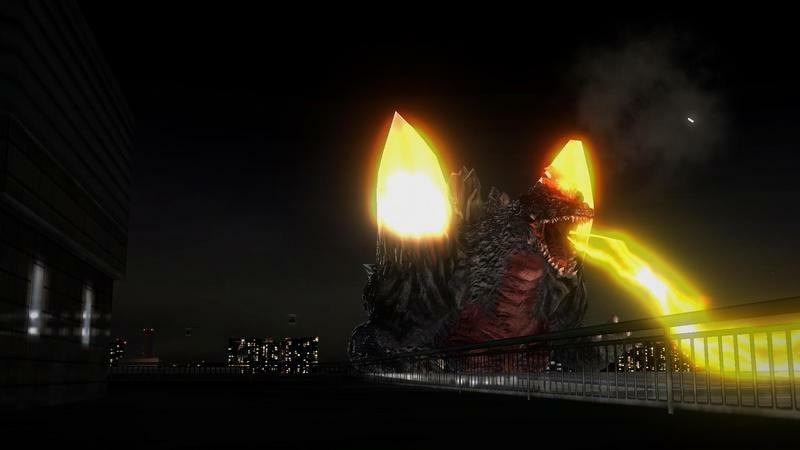 Bam bam bam… bam bam bam… Godzilla's special attack meter is up. Do I blast him with a nuclear breath or launch the AoE attack? Nuclear breath of course! Okay, bam bam bam… bam bam bam… throw in the tail for good measure. This is every fight in the game, getting in the enemy's face and spamming that weak combo. Very little thought. Very little planning. It works too! 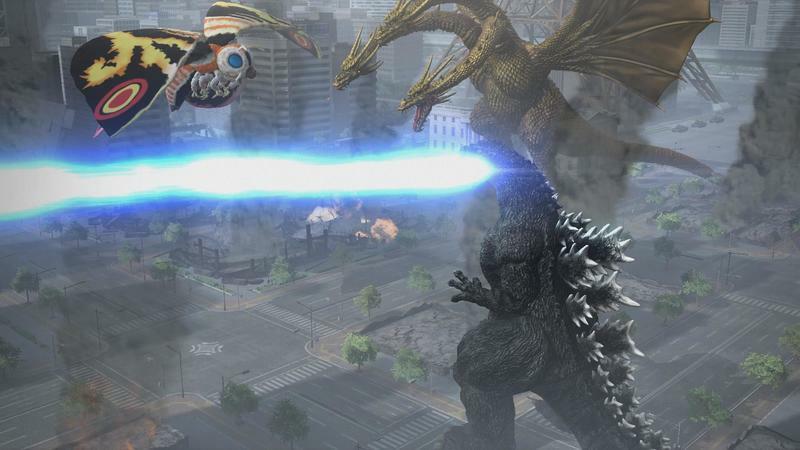 I took out the secret "Burning Godzilla" boss fight on Hard Mode with a Mothra Larva just spamming the basic attack. 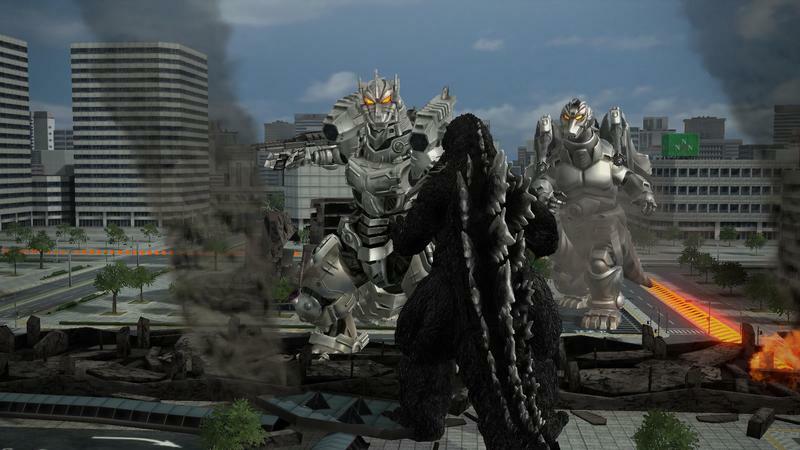 Godzilla also gains size as he levels buildings, so if he is much larger than the beasts he fights, it's even more of a pushover. If he tackles a monster larger than him, then it's Call of Duty mode, attack the monster, run away to regenerate, attack the monster. Combat in this game is the simplest thing, and believe it or not, these mere battles are not the main objective of the missions! 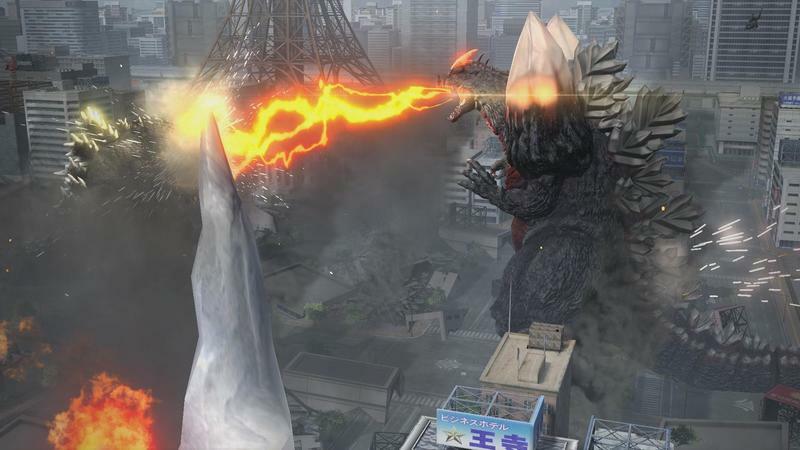 Instead, Godzilla's main goal is to destroy the generators in the area. Yes, generators. *YAWN* Only then can he advance to the next stage. 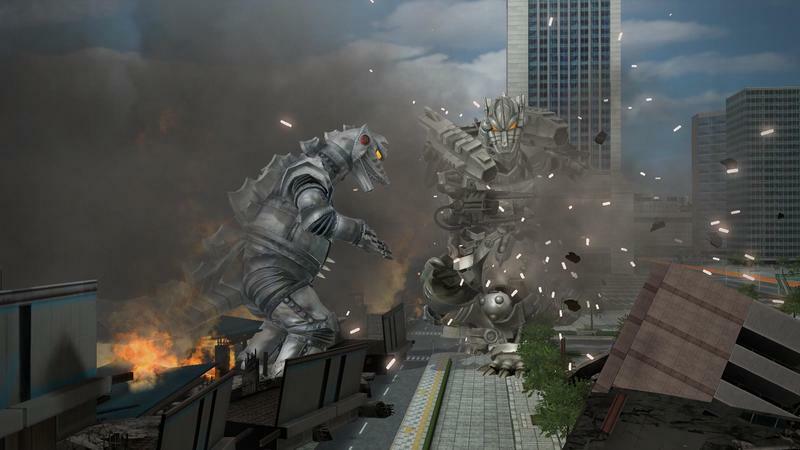 Before doing that, players have several optional objective as well like destroying the whole city, accomplishing additional goals like "blow up 10 tanks" for an extra size boost, and attempting to capture Godzilla in a camera shot for "visual data to help plan future strategies." Only after getting all of these camera shots can players move into the later stages of the single player. 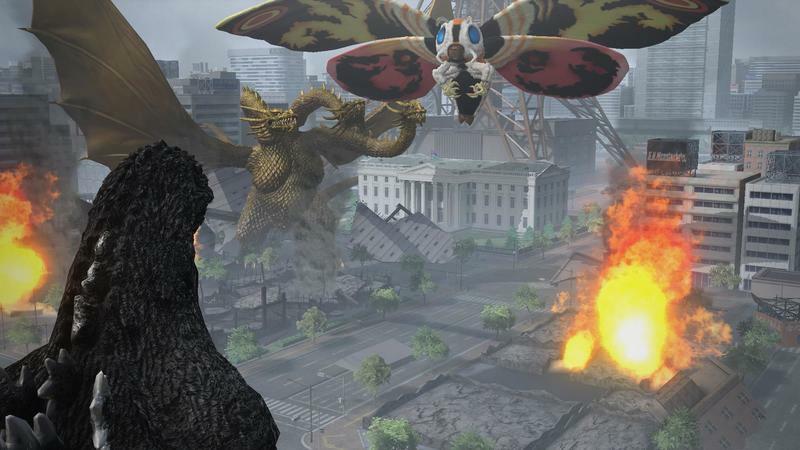 So before destroying the generators, Godzilla must destroy a rival monster, lumber over to a spot on the map where he can be filmed, manage his "Fury" meter, and level everything if he wants to be big enough to take on the monster in the next stage… over… and over… and over. This is every level in the game! No variety. Just gut-busting destruction in an area the size of a few city blocks. Needless to say, these missions tend to repeat themselves. Again, it's terrible, but inoffensive. 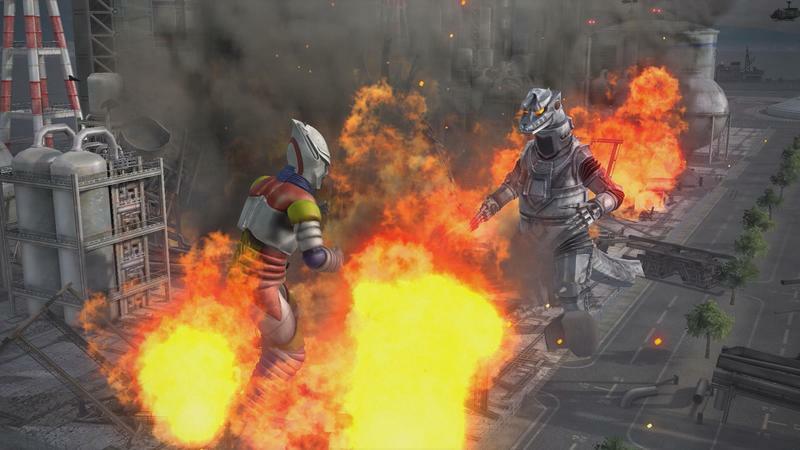 Godzilla's level flow acts similarly to Star Fox 64 in which he can choose a path to barrel through, all paths coming together in a single final stage. The drive which can keep you coming back is wondering which monster comes next and collecting its cells to help Godzilla and the rest of the monsters evolve in between campaigns. Missions tend to drag, but an eight stage campaign lasts 25-30 minutes at most if you totally level a stage. Not so bad of a burst, and then it's back to evolving Godzilla to do it all over again. 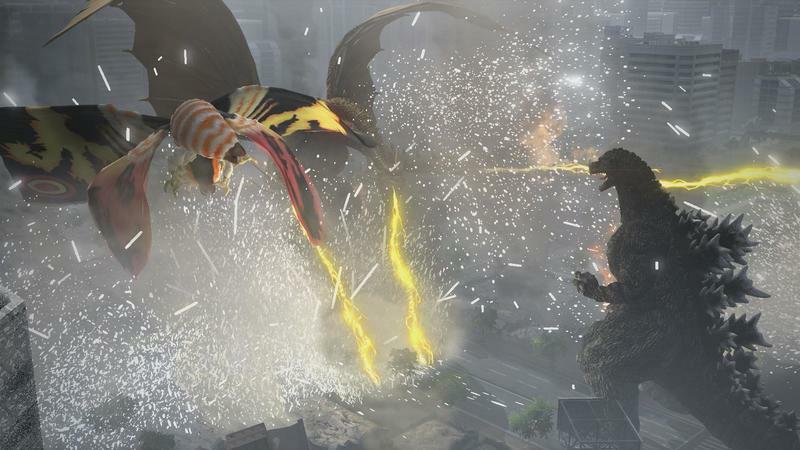 Single player allows for a few alterations on the formula like defending generators from invading monsters or attacking generators with enemy monsters other than Godzilla. 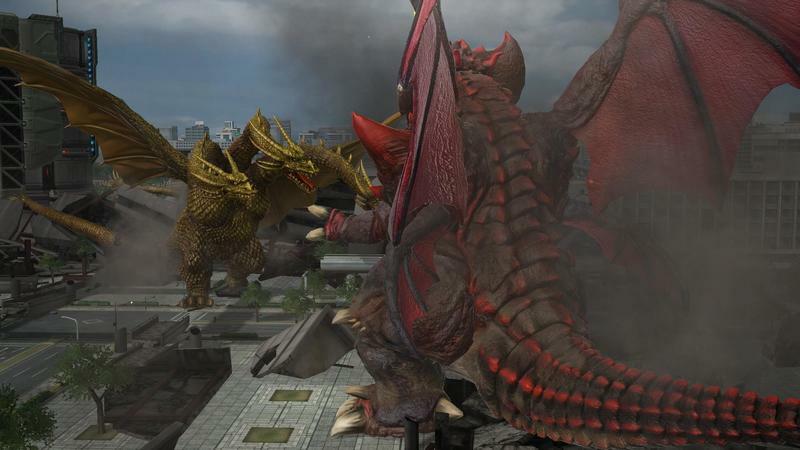 Plus, online modes allow for monster battles against other players. It's a repetitive, grinding slog, but it knows what it is. It's set up to be enjoyed briefly, like an arcade fighting game, and provide incremental awards. Godzilla's horrible design wasn't enough to turn me off from seeing Godzilla at his maximum evolution. I might just have to jump back into it even after reviewing it, a bit of a rarity these days! Don't get me wrong. 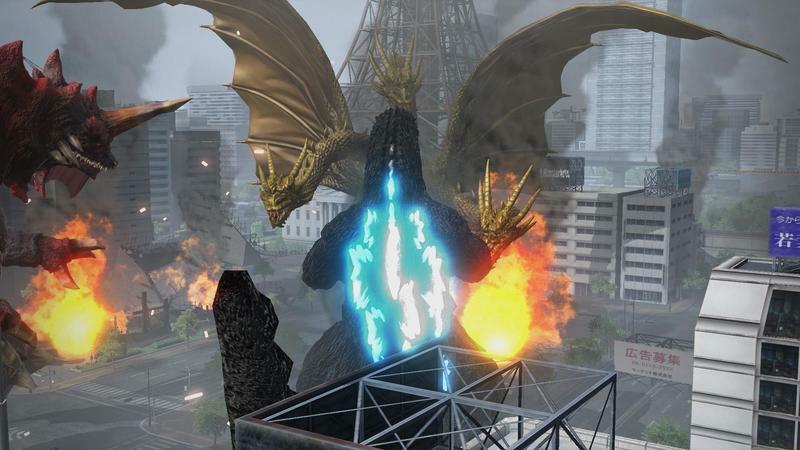 Godzilla is a horrible abomination of a video game, but it does enough to be forgivable in a few key areas. 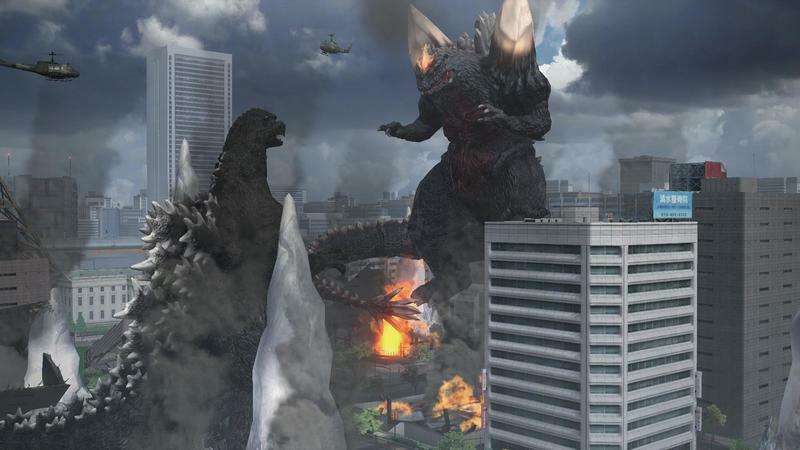 Destroying cities feels real, even though Godzilla will be doing it over and over and over again. Seeing him improve incrementally is also a treat as he eventually just wrecks his opponents with more and more power each time. 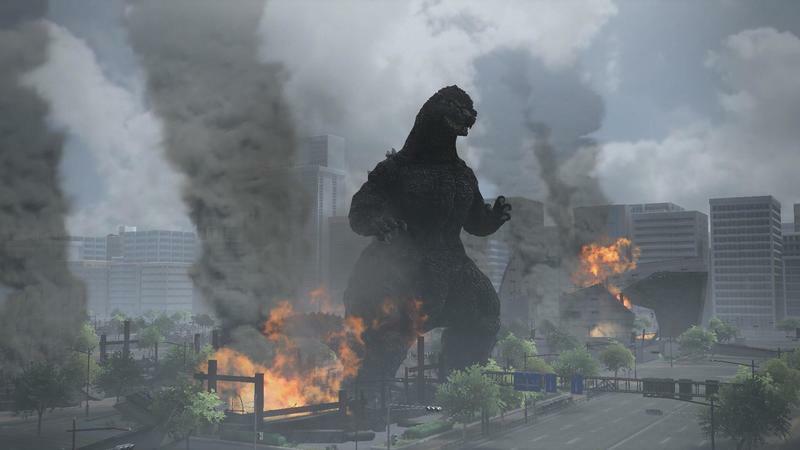 Plus, there is even a little meta commentary on the Japanese political system with a new Prime Minister taking control whenever Godzila veres down a new path of levels, each with a different approach on how to handle the situation. Much like Japan's actual rotating door Prime Minister position. I thought that was cute if not a few years too late, just like the graphics. I'm a casual Godzilla fan though, which is why I'm so unoffended by this title. If you approach this with the serious mindset of a fan though and possibly expect it to be good you'll feel a bit lost right away. This is not a $60 video game, and the only reason I probably liked it a little bit is because I got a free reviewers copy. If I had put actual money on this game, I might be singing a different tune right now. It's downright awful in almost every sense, but it has the potential to reach that "so bad it's good" level. There is a little too much enjoyment here to outright dismiss the whole game. Snag it up for $5, a price point you'll definitely find it at next year, or in the PlayStation Instant Game Collection and enjoy it then. Laugh at its trainwreck design decisions if you need to get something out of it! It's the kind of game many will just love hating. Just don't pick it up for anything more. It's not worth anything more than the change in your pocket, and it's definitely not gem in the rough like Earth Defense Force 2017 either. Don't bother if you don't have the ability to enjoy horrible games that break free from the AAA formulas set in place these days. 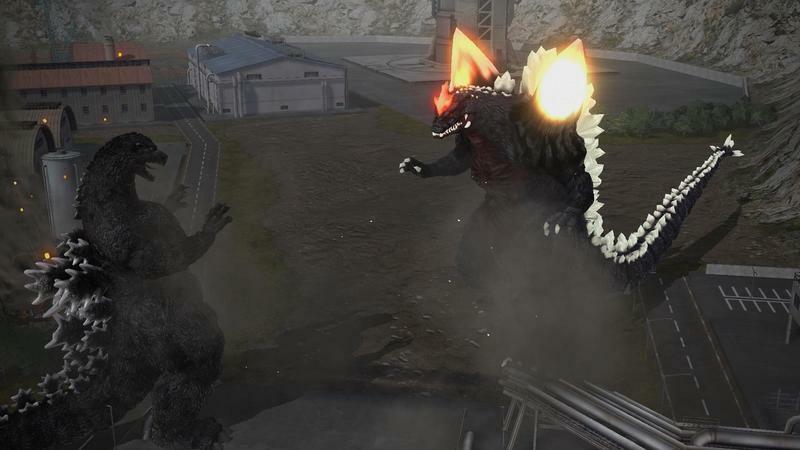 Disclaimer: We were provided a review copy of Godzilla for the PlayStation 4 by Bandai Namco and spent a week playing all of its different modes before writing this review. Ron has been living it up in Japan for the last decade, and he has no intention of leaving this technical wonderland any time soon. When he's not battling giant ninja sea monsters from the cockpit of his mecha robot, he pursues the elusive dream of Japanese fluency and plays an unhealthy amount of video games.